Here in the Northern California, leaves and rain fall, a pumpkin patch was visited yesterday, and I’m bringing tea to a number of gatherings of friends. Friday night, eighteen of us gathered around a friend’s kitchen counter assembling spring rolls and sipping Watson’s Nutty Green out of Asian gaiwans. We laughed and celebrated a friend joining us for the first time since her stroke almost a year ago and wept over another friend’s recent breast cancer diagnosis. Saturday morning found me huddled in 39 degree weather at the CLASSIEST yard sale ever hawking my wares and encouraging people to hold a cup of my Caramel for Hobbits to keep their hands warm while they browsed. Are you looking for your signature tea, the one you grab over and over again? You should be. Look for yourself in the following personality descriptions. Are you already sold on tea (like Emma Thompson) and looking to convert your friends and family? Consider them as you read through the following. First, let me talk to you coffee lovers. You’re the ones convinced nothing can ever replace your brew. You bring your own thermos when visiting certain homes (I’m talking to you, Grandpa Russ!). If this is the case, I would like to make a few suggestions. 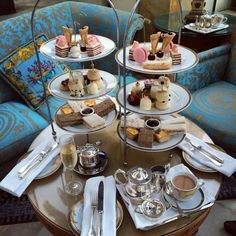 The best teas to serve coffee lovers are the rich and robust Ceylons and Assams. These are black teas named for where they are grown. They serve as the basis for many tea blends (also recommended for coffee lovers) like Irish Breakfast. Less well-known, but equally effective converting teas include Sikkim and Yunnan (see my article on tea definitions for more information). If the coffee lover adds milk and sugar or loves their lattes, encourage them to try a chai tea, traditionally brewed in milk or another flavored black, like Chocolate Raspberry. 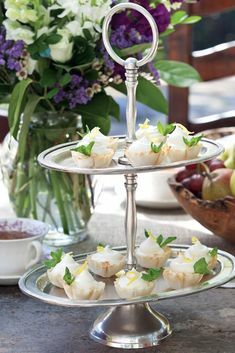 If you plan to serve tea to your grandmother, or anyone over the age of sixty, they will most likely enjoy something more traditional. Most likely, they were served tea growing up, or may still drink tea on a regular basis. They probably won’t be able to appreciate bubble tea or flavored blacks as much as Darjeelings, Earl Grey, or English Breakfast. If you want something with a touch of flavor you both enjoy, Black Current is more traditional or something with just a hint of vanilla. Remember, Grandma most likely knows her tea, so be sure you know how to brew it! If health trumps pleasure for you or your guest, choose teas with properties known for their benefits. Examples of these include organic, rooibos, green, and white teas. Look for ones that do not include natural or artificial flavorings in their list of ingredients. If the teas are truly flavored naturally, they will list what they used for the flavors, as in jasmine, orange peels, or mint. Another popular green tea forthe health conscious is Genmaicha, named for the inclusion of puffed brown rice, giving it almost the flavor of popcorn. Can tea be romantic? Absolutely. Are you one who celebrates your senses and enjoys snuggling? The movies always show the couple in front of the fire with the wine glasses. But maybe it’s a weekday night or one of you needs to abstain for health or personal reasons. Or you switch to tea during pregnancy. 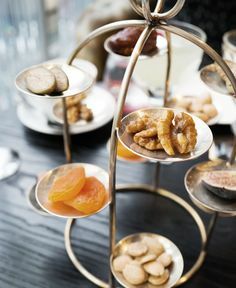 Cozy up together over the dessert teas of caramel, chocolate, or fruit-based teas filled with a variety of tropical flavors like mango, pineapple, and papaya. Choose teas with wild, in-your-face names because they will probably have wild, in-your-face flavors to help add zip to your time together. anyone? Maybe romantic nights of the past filled your home with children in the present and you just need a break. I’ve written before to encourage the many sahms who read my blog to incorporate a tea break into their day. Tea is something you and your children can enjoy together. Then they can run off and play while you enjoy a relaxing second cup. Most mothers I talk with want to completely avoid caffeine for their children and I introduce them, as I have here, to rooibos. Rooibos is a South African crop so gentle the Africans give the tea (tisane) to their babies. Rooibos has become more widely available in almost every flavor imaginable. Children love mint, lemon, vanilla, and berry-flavored rooibos. If you want to make absolutely sure to give the purest tea available to your child, I recommend a locally-grown organic peppermint leaf tisane. 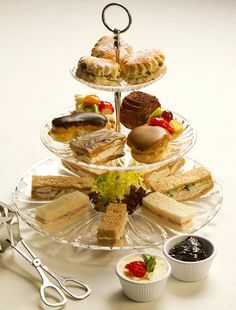 Lastly, there are those who are either already tea snobs (they’ve made it clear there’s little you could do to impress them) or those who express that microwaved tap water with a teabag is perfectly fine, thank you, and they see no need to change their ways. For the tea aficionado, you want a tea with a number of letters behind its name (Darjeeling SFTGFOP1, for example), a tea that has been carefully created by hand (like Jasmine Pearls), or a rarer tea you can’t buy in the grocery store like an oolong or Lapsang Souchong. For the teabag user, they are usually introduced to looseleaf tea through someone else. If that person knows how to properly brew tea, the teabag user is pleasantly surprised. I heard it over and over again last Saturday, “Wow! This tea is really good.” For the teabag user, I recommend a strong fruity black (like apricot), earl grey, chai, or a traditional english breakfast (for those Lipton lovers out there…there must be some of you!). Did you recognize yourself in any of the above descriptions? Which tea will you try? 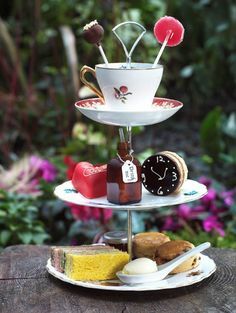 What tea will you serve to your next guest? Leave a comment and tell me all about it. I just found your website. I, too, am in love with all things do to with Tea. Today I had my first Afternoon Tea at a grand hotel – the Peabody in Memphis. The tea was wonderful, but the food was too heavy and too much. 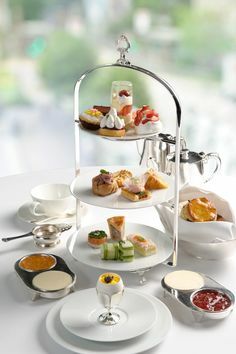 If I had not eaten lunch I could have enjoyed it more, but Afternoon Tea is a snack, and High Tea, served later in the evening, is a real meal. As to my favorite kinds of tea, I am a purist, I prefer the basic black teas, and Breakfast Blends.